Welcome to The Gamblers flyball club home page. 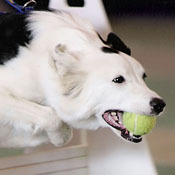 Flyball is an exciting game of racing and retrieval that is enjoyed by dogs and people alike. Our club is based out of Wilsonville, Alabama, and its members hail from there, Montgomery and Auburn, as well as Chattanooga, Tennessee. Our club is guided by three underlying goals: go fast, run clean and have fun along the way. Two organizations sanction flyball competition in North America: North American Flyball Association (NAFA®) and United Flyball League International (U-FLI®). The links below provide a wealth of information about the sport and those organizations. 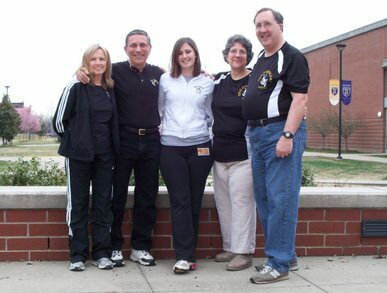 The Gamblers are Cindy & Paul Ferlitto, Kate Corum, Pam & David Murphy and, not pictured, Trey Corum and Kirsten Holt. 2 p.m. Please call first to make sure we are in town.